TBWA\Chiat\Day, LOBO, Travelers Tell "Howard's Unfinished Story: The Tree House"
Howard Stein, 61, was a self-taught master craftsman, who delighted in making furniture and goods for friends and loved ones. He struck by a distracted driver while tending to his truck on the side of the road. 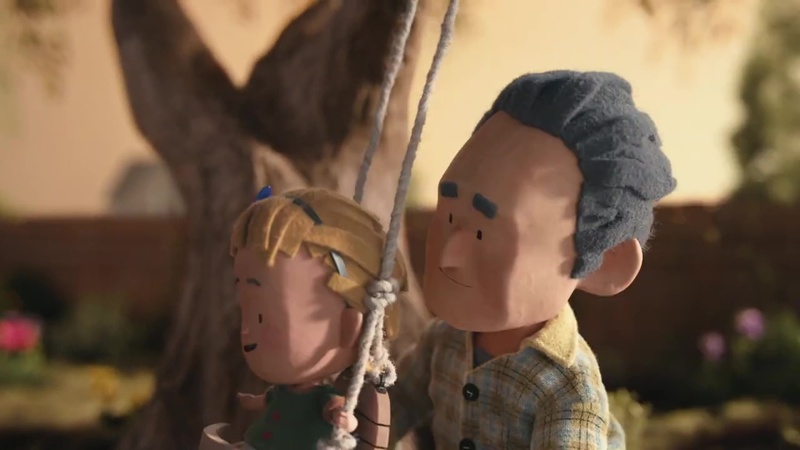 In “The Tree House,” a beautifully animated short film created in partnership with LOBO studio and directed by Guilherme Marcondes, reveals a special relationship between Howard and his granddaughter, Evie, whom he never had a chance to meet before his untimely death. The film imagines a growing bond between the two of them as they craft a backyard tree house from start to finish, and become best friends along the way. Distracted driving is a growing epidemic that kills at least nine people and injures over 1,000 people each day in the U.S. alone. Travelers discovered true stories of lives cut short by distracted driving, and worked closely with the victims’ families to imagine what might have been. “Unfinished Stories” envisions those potential future chapters had the driver not been distracted and the tragic accidents avoided.